In Cape Town, we had a top-notch guide and driver who provided a comprehensive, fascinating tour of the city and the peninsula in the private car from Cruise Specialists. This was our best tour…really appreciated getting to know these areas and the guides on a personal level. On select hosted voyages we offer a variety of tours that include day tours, multi-day overland programs (land tours) and private vehicle excursions. Our in-house shore excursion team personally organizes these tours. Tour options vary by voyage and are designed to include the "must-see" sights throughout the journey. Contact us online to discuss our exclusive shore excursions. 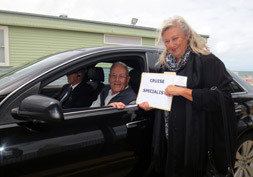 Seeing off a World Cruise guest in a private car with guide in Melbourne, arranged by Cruise Specialists. View some of the Custom Shore Excursions Cruise Specialists has arranged for our guests. Choose a half-day or full-day shore excursion from dozens of ports around the world. 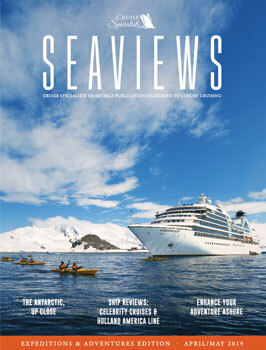 Provided by our preferred partner, Shore Excursions Group. Please note that these shore excursions are offered by our preferred partner - Shore Excursions Group, which acts as an agent in reserving your space, and are being offered to you as a convenience. The cruise line may offer many of the same excursions offered here either before your cruise or while you are on board. All excursions are based on availability. Excursions booked through Shore Excursions Group are not hosted by a Cruise Specialists representative. Cruise Specialists cannot be held liable for loss, injury, damage, costs or delays resulting from your booked excursion. You are responsible for showing up on time to the designated excursion point. 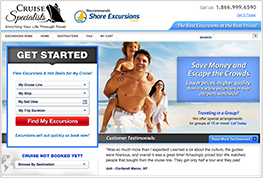 Shore Excursions Group reserves the right to modify or cancel any excursion should conditions warrant. Full refunds will be given for any excursion cancelled due to weather or the ship missing your port. No refunds can be made for your failure to be at the assigned departure location. Contact us with your questions about custom tours or our private vehicle program.